Cate: Please welcome Krista D. Ball. Krista, will you please share a short bio with us? Krista: Hi Everyone! 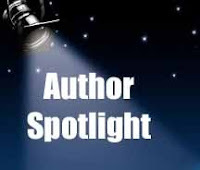 My name’s Krista, I’m a Canadian author (so you’ll be seeing lots of Canadian spelling on my blog and in any self-published or Canadian-published work that I do). I’ve had several short stories published, have a high fantasy novel under consideration with a publisher, and am putting the finishing touches on a dark science fiction novel. I also dabble in a little freelance in my local market, trying to get my feet wet. Cate: Tell us about Harvest Moon and where it's available. Krista: Harvest Moon is my debut individual work. I’ve been in collections and magazines before, but this is my first stand-alone work. I’m very excited! Harvest Moon is available through the publisher in various digital formats. (Buy me now!) Buy link with a longer excerpt. She twisted off a well-cooked wing and gnawed at it, oil dripping down her chin. She stopped eating, horrified at her display. Dancing Cat couldn’t put her chewed wing back, but she couldn’t keep eating, either. So she just sat there, staring at him, pleading with her eyes. “Over two years,” she mumbled between bites. He opened his mouth but shut it before words came out. She averted her eyes, worried that he’d ask her more questions. All she wanted was to eat. Krista: Canadian First Nations are unrepresented in fiction, and almost unheard of in speculative fiction. It was wonderful using the different setting. Krista: I have no idea at times! For plot, I think about a few scenes and goals that I want to accomplish and go from there. At times, I can draft out a full outline and write. Other times, I need to partially write the work, stop, evaluate, outline, and then start over/keeping going. Krista: Only some. I think the longer you work on a project, the more likely this is to happen. I can complete a short story in a day and have it submitted by the end of that day. So, sometimes I don’t have a chance to get too attached. Other times, however, I’m agonizing over a work for years. In that case, the character lingers. Krista: I am putting the final touches on my Science Fiction espionage story, Road to Hell. November is dedicated to NaNoWriMo, where instead of writing a novel, I am going to write several small projects that I have been putting off. Krista: I have several short stories and freelance non-fiction work floating around out there. I also have a self-published light-hearted story, The Amazing Transformation of Wicca Dog. With a title like that, you know it’s high literary fiction! You can pick it up on Smashwords http://www.smashwords.com/books/view/19781 for $0.99. I also have a SF comedy about time travel, Flying Kite, Crashing Ship, coming out with Muse in March. Krista: Most challenging is the schedule. I really need a schedule, however since moving in with my partner and his children (including one that is special needs), we’re all still adjusting. I tend to write more during the school year because I am able to maintain my own office hours. The summer is tougher. Krista: It was about Tranquility’s Blaze, my unpublished fantasy novel. A beta reader said, “Women’s lib doesn’t belong in fantasy.” Needless to say, I dumped him as a critiquer! Krista: I have too many favourite authors. I like so many different authors, books, and genres. I generally go through reading binges. I don’t read for a few months and then I sit down and read a dozen books in a month. I tend to read a lot more during the winter months. It’s cold in Edmonton! Right now, I’m waiting to dive into the latest Jim Butcher. Krista: www.kristadball.com is my website and www.kristadball.com/blog is my blog where, occasionally, I am funny. But only occasionally. Krista: I’d like to ask your readers who don’t read high fantasy why they don’t like it. I’m not referring to fantasy as a sub-genre of romance. I mean high, epic, sword and sorcery fantasy. I’m always interested in the answer because it doesn’t seem to ever match the other genres. Cate: Thanks for being my guest today, Krista! Best of luck to you. Welcome Krista! I love the premise of your story. I found the First Nations really intriguing during the Olympics. Great interview, Krista and Cate. Fantasy, low or high, epic or short, doesn't appeal to me only when it doesnt maintain my interest. Any genre that's well paced, keeps me flipping pages I'm into reading. All rightous princesses, castles,evil step fathers, witches, elfs, dragons, portals, mushrooms ect. make me yarn if its the same old plot. That's something I'd not expect from you, Krista. I look forward to your works in progress becoming published. been to college, so yep. Very few princesses can eat a magic shoom like Alice who'd have lost any pretense to a crown when she missed the portal guarded by a unicorn and hit the rabbit hole instead. I'd love to have known Lewis Carroll. congrats Krista on your release :) Looks fabulous and I can't wait to read it! Sorry I'm late, Krista. My internet provider uses a half dead squirrel to run their towers. Ref: “Women’s lib doesn’t belong in fantasy." I nearly choked on my tongue when I read this. LOL! Holy moley. What decade was she from? I have to admit I don't read a lot of high fantasy any more. I love a good sword and sorcery epic, but only if they limit the secondary trope-ish characters like dwarves, ogres and woodland fairies. I think there needs to be more swords period. And, overcoats. Definitely more overcoats. Ooo and heroes in tall boots. That's what's missing in today's literature. Full stop.